Best international schools in Barcelona offer your children education in Spanish and English. Many of them combine nursery, kindergarten and secondary education. The top international schools in Barcelona offer your children education in Spanish and English. Many of them combine nursery, kindergarten and secondary education. In these schools your children have a unique opportunity to combine a wide knowledge of general education with additional language skills and other developmental disciplines, which will be helpful assets when applying for university in Barcelona, Spain or Europe as well as for their future. This school has been opened for 25 years and now there are children of approximately 38 different nationalities studying there. It’s success is due to the experience of the staff and efficiency of the applied method. All the teachers are English native speakers, as all the basic subjects are given in English. Additional subjects are taught in Spanish, Catalan and French. After graduating, the students are given an American High School Diploma, the Spanish Bachillerato Certificate, and the International Baccalaureate (IB) Diploma. They also offer a Summer school (1 month), which is a perfect opportunity for the kids to get accustomed to the school and for their parents to get to know the school before the academic year begins. It’s not necessary to be enrolled in any school to take part in the Summer School program. As well as our focus on languages, we prepare the students to become equipped with a range of skills in science, technology, humanities, design and communications. 80% of the students enrolled are Spaniards, the rest are foreign students of more than 30 different nationalities. 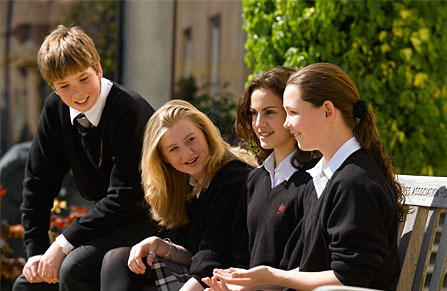 During the primary years, Oak House operates as a British school, where the majority of subjects are taught in English. In the Secondary years, pupils receive a trilingual education with subjects taught in English, Catalan and Spanish, plus an optional fourth language. Teaching and learning is stimulating, active and participative. We employ a variety of teaching approaches, including the use of a range of new technologies. Through group work our pupils learn to work cooperatively and use their individual strengths to help them achieve a common goal. Our pupils receive individualized attention through a continuous tutorial program and close links with their families. We value and actively promote the continuing professional development and constructive evaluation of our teachers. The diversity, professionalism and commitment shown by all personnel at Oak House are distinguishing features of the school. 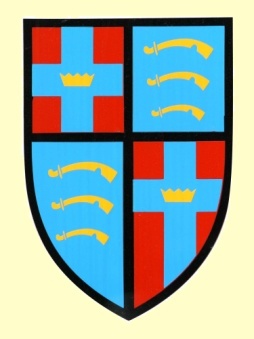 Edward Paul Giles, a graduate of Cambridge University founded Kensington School in 1966. The aim of the school was to provide a British education for the international community in Barcelona. Every year around 230 students of different nationalities from the age of 4 till the age of 18 attend the school. Special attention is paid to the GCSE (General Certificate of Secondary Education) which gives an opportunity of admission to any high education institution in the UNS and England. All pedagogical staff is qualified in England except for the French and Spanish teachers. Main subjects are given in English, from the age of 7 students start learning Spanish and from the age of 9 French is added. The school also offers courses for children with no previous English knowledge. 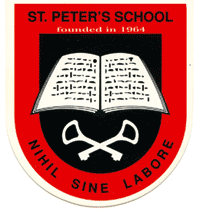 St. Paul’s School was founded in 1968 by a group of parents whose ideals were freedom and respect, a love of culture, self-discipline and responsibility. At. St. Paul’s, teachers provide an environment of trust, responsibility and freedom in which the pupils can learn and become confident, independent people who will be able to meet the challenges of life in the 21st century, be successful in whatever they choose to do and who possess the skills and qualities that will allow them to reach their goals in this increasingly competitive world. Students of St.Paul’s take the English examinations of the University of Cambridge - Flyers, Preliminary, First Certificate, Advanced and Proficiency. These certificates make it possible for them to study at any English-speaking university. St. Paul’s gives equal importance to Catalan and Spanish. French is introduced in the first year of secondary education and is taken by all pupils during the four years of compulsory secondary education. In BXT French is optional. Princess Margaret School is a private international Co-educational School founded in 1967. The school admits children from 3 to 16 years old. The classes are held in 3 languages: English, Spanish and Catalan. School graduates receive an ESO Diploma. During all studying processes, students have the opportunity to take Cambridge Exams that will help them to enter Universities in the future. ASB has recruited the best international teachers and created a rich learning community for students, parents, and educators. Many of the teachers are leaders who provide workshops locally and globally for other educators about how to use effective instructional practices in the classroom. The school offers 21st century progressive teaching in which students are focused on projects, solving problems, and presenting their work. ASB has integrated technology projects that are supported by fixed and mobile computer labs, iPads, interactive whiteboards, document-based cameras and an on-line grading system. Instruction at ASB for core subjects is in English with primarily North American trained teachers. The school also has strong Spanish and Catalan language classes, and they offer extensive language support. French is also offered as an elective in some grades and after school. Communicating in English and in multiple languages are distinct advantages for the students in our global economy. The American School of Barcelona Foundation started a new construction project in the summer of 2013. As of September, 2014, a state-of-the-art building will house ECC students on the first floor and elementary school students on the second and third floors. Construction of this facility will allow the main building already in existence to be used exclusively for secondary students - both middle and high. In addition to providing improved classrooms and meeting space, improvements would be made to the library, cafeteria, and science labs. 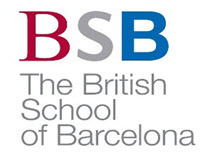 The British School of Barcelona is committed to excellence at all levels in order to provide a high quality and enjoyable education for each individual child. All students will receive the respect, encouragement and dynamic educational opportunities needed to be successful, confident members of a modern and ever-changing world. The school provides a continuous educational experience for pupils between the ages of 3 and 18 and also offers Summer School for children from 3 to 15 years to enjoy their summer holidays and improve their English at the same time. All the activities are led by native English teachers from the British school. 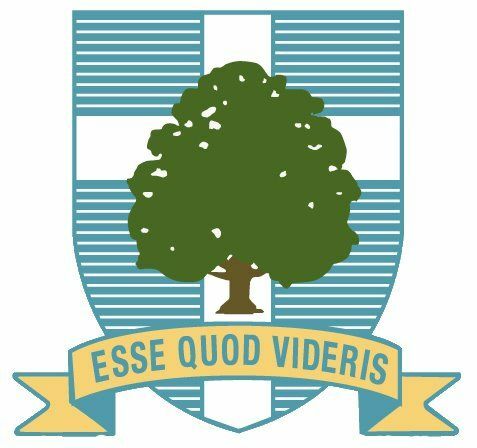 All programs –the Summer Play School, the Summer Activity School and the Summer English Language School are open to BSB students and pupils from other schools. Collegi Europa is a school in a prestigious town of San Cugat only 10 min drive away from Barcelona. It was founded in 1996 by a group of education professionals led by the Herranz-Frias family who, after more than 40 years dedicated to teaching and managing schools, created a unique space conceived to develop a different approach to education, specially designed to encourage growth and all-round learning. The main objective of this school is to foster an education based on values, with a universal and humanistic approach to learning and teaching, focused on a world without borders. They embrace the latest pedagogical techniques to ensure their students are not only competent, but also, and most importantly, to be good people. The school works with an active methodology, whose main goal is to help the students to “learn to learn” and enjoy the process, so they can be lifelong learners. This is a private School in Alella suburb of Barcelona on beautiful Costa Maresme. Hamelin-International Laie School is a private institution, authorized by the MEC (Ministry of Education and Culture), which has been fully dedicated to infant, primary and secondary education since 1989. The school offers following programs: Nursery and Infant education from 0 to 6 years, Primary Education from 6 to 12 years, Secondary Education 12-16 years, Baccalaureate 16-18 years in science, technology and art, The schools is popular among ex-pats as it offers trilingual education (English, Spanish, Catalan) from nursery education until 16. The Baccalaureate is bilingual in English and Spanish. There is also an emphasis on learning Chinese. The school has a good reputation and has a high level of academic achievement. This school, on the slopes of mount Montseny in the town of la Garriga, was opened in September of 1995. The school offers educational programs from nursery school to Baccalaureate. It consists of trilingual education (50% English, 25% Catalan and Spanish) where all teaching staff are native speaking teachers. They use the 'Whole Language Approach' philosophy. To complete their language training, pupils can attend the SEK schools in Dublin or Les Alpes in France. Language learning goes hand in hand with the Spanish Curriculum. 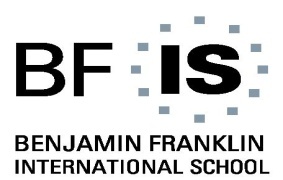 The SEK Educational Institution has established collaboration agreements with the British Council, Cambridge Schools Centre, International House, the Alliance Française (French Alliance) and the Goethe Institut, which participate in the organization of courses, administration of exams in our Centers, and the ongoing professional development of our teaching staff. Cultural and sporting complex Montessori Palau is a private school in the beautiful town of Gerona. The school offers complete educational courses from nursery school to Baccalaureate. Teaching here is 50% in Spanish and 50% in Catalan. Additionally, the school offers German, English, and French. Montessori Palau also offers a variety of extracurricular sporting activities such as football, basketball, volleyball etc. One of the most titled tennis schools in Barcelona. A year of studying at the academy lasts 10 months, running from September till June. Monday through Friday students have 3 hours of tennis training and an hour of physical training, in addition to educational lessons. The school works together with Schiller International School in order to allow students to combine training with an American educational system. Diplomas from this school give the students the opportunity to apply to any American University. The aim of this prestigious sporting center in the suburbs of Barcelona is to prepare athletes for an international level of competition. The main goal of the school is to not only to develop good tennis players, but most importantly to establish the students as well-educated individuals. The Academy has a bilingual college (Spanish-English and Spanish-French). Tennis trainings take place daily except for Sunday, from 09a.m. till 17 p.m. and include 3,5 hours of tennis classes and 2 hours of physical training (on Saturday morning 1,5 hours of tennis and 45 min of physical training). The spanish school program takes place in the evenings.